Today HP is announcing some updates to their OMEN lineup, which is their gaming brand. Gaming is still a high-margin segment of the PC space, so there is quite a bit of competition in this segment, and the more traditional PC makers like HP certainly want their piece of the pie. HP is no stranger to gaming PCs, and the OMEN lineup is the legacy of their acquisition of VoodooPC way back in 2006. The first announcement is the OMEN X Compact Desktop, which is a pretty interesting take on the small form factor desktop. There are a lot of advantages to smaller desktops, especially if you’re the type of person who needs to transport it from time to time, and with the latest CPUs and GPUs, you can fit a lot of compute into a small device now. 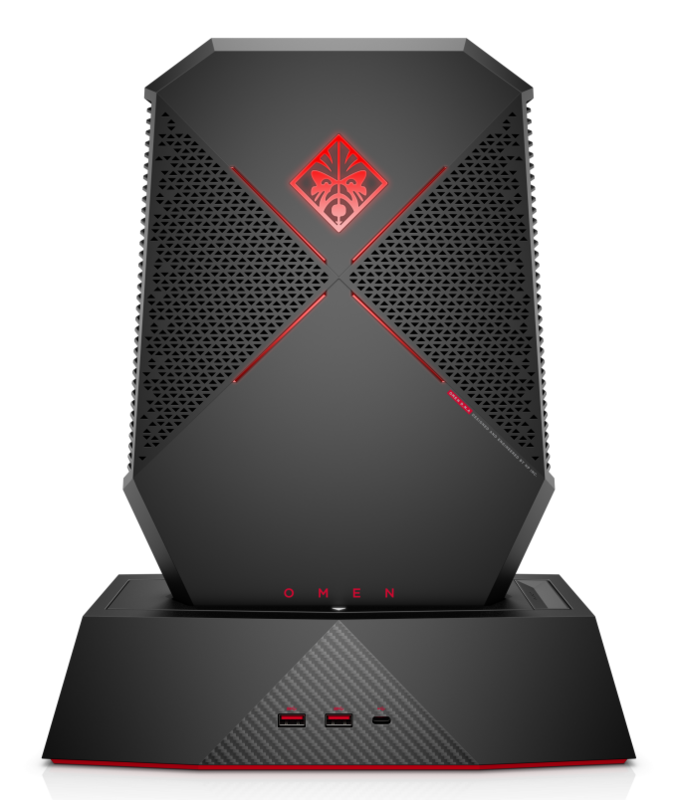 HP has packed the OMEN X with a factory overclocked NVIDIA GTX 1080 GPU, and quad-core Intel 7th generation CPU, and the CPU options include unlocked models. HP says there is extra thermal headroom to allow end-users to overclock the system on their own. The interesting design twist though is that the compact desktop comes with an included docking station, and it offers hot-swappable batteries. HP is selling a backpack accessory to allow the OMEN X to be used as a portable, standalone VR system, and the docking station would allow you to quickly undock it from the normal desktop with keyboard, mouse, and display, and hook it up to the backpack. I’m not quite sure VR has taken off the way people hoped or expected, but regardless, this is a pretty nifty design, and the cooling system has been designed to exhaust the hot air away from the body, so the VR take on this desktop is not an afterthought. 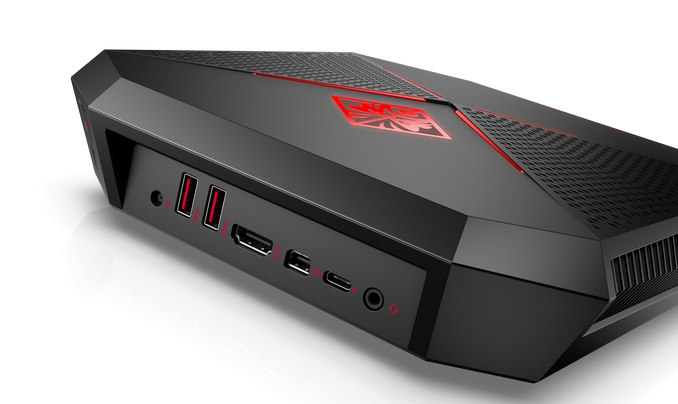 The OMEN X will be available in July starting at $2499, and the HP Backpack starts at $600. 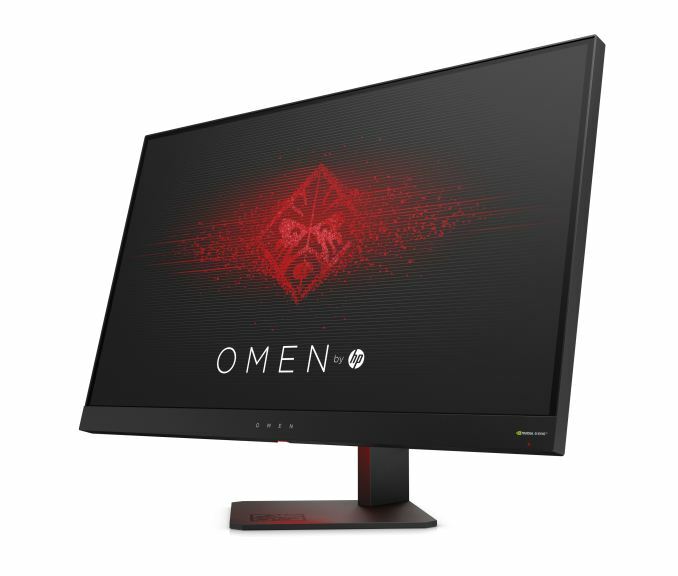 For those that want a more traditional desktop experience, with the capability to upgrade later with standard PC parts, HP is also offering the new OMEN by HP desktop. 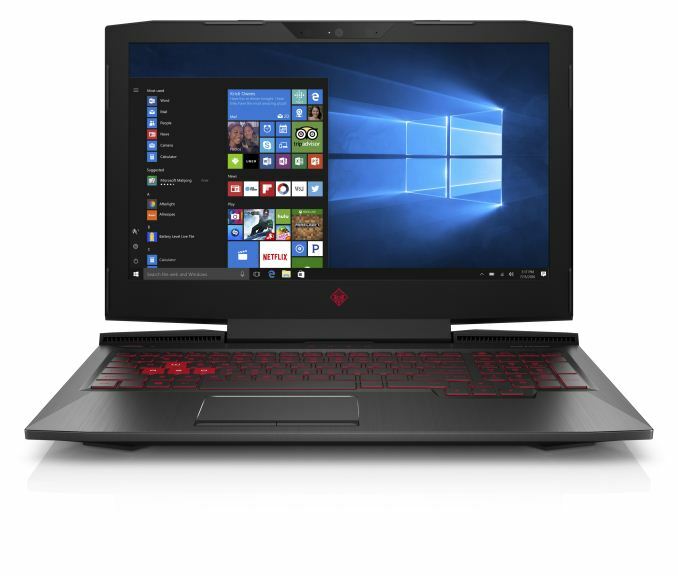 It can be outfitted with up to two graphics cards, and HP is offering both NVIDIA and AMD offerings. The NVIDIA side can go up to SLI GTX 1080 Ti cards, and if you go with AMD you can get up to a Crossfire Radeon RX 580 setup. On the CPU side, HP is offering both Intel Core i5 and i7 desktop CPUs, including unlocked models, as well as AMD Ryzen CPUs which is great to see. Keeping everything cool is an optional liquid cooling setup. HP is also going all-in on the storage with PCIe SSDs, or SSDs plus HDDs for extra storage. The OMEN desktop is available today, starting at $900. HP’s OMEN laptops are also getting a refresh, with both the OMEN 15 and OMEN 17 getting a refresh. Although on the desktop HP is offering AMD Ryzen, the mobile chips from AMD are not yet available, so HP is sticking with 7th generation Intel Core CPUs, but they are offering both AMD and NVIDIA options on the GPU. The OMEN 15 can be configured with up to a Radeon RX 550, or NVIDIA GeForce GTX 1060 with Max Q. The larger OMEN 17 can be configured with up to a Radeon RX 580 or GeForce GTX 1070. There will be an optional UHD display with a 60 Hz refresh, or a 120 Hz FHD G-SYNC choice on the NVIDIA model, or a 60 Hz FHD FreeSync panel on the AMD model. HP is touting the ease of access to the HDD, SSD, and RAM, if you need to expand any of those. The OMEN 15 will be available on June 28th starting at $999.99, and the OMEN 17 starts at $1099.99. 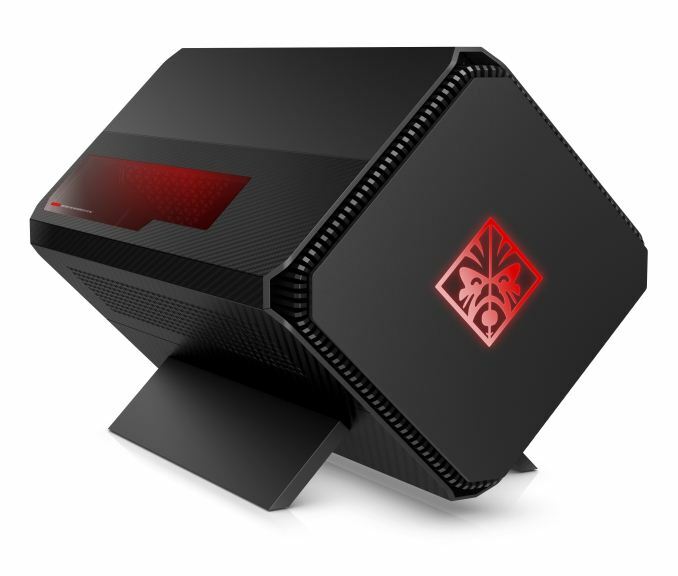 HP is also announcing an external graphics docking station called the OMEN by HP Accelerator. Unlike some of the other options on the market, HP will be offering it as a preconfigured option with either AMD or NVIDIA graphics, and it is configurable with a 2.5” 1 TB HDD, or 256 GB SSD, or just the empty enclosure with a 500 W power supply. Since it connects over USB-C Thunderbolt 3, it will allow single-cable docking with charging for the laptop as well over the single cable, and the dock includes four USB 3.0 ports and 1 USB 3.1 Type-C port, along with Ethernet. 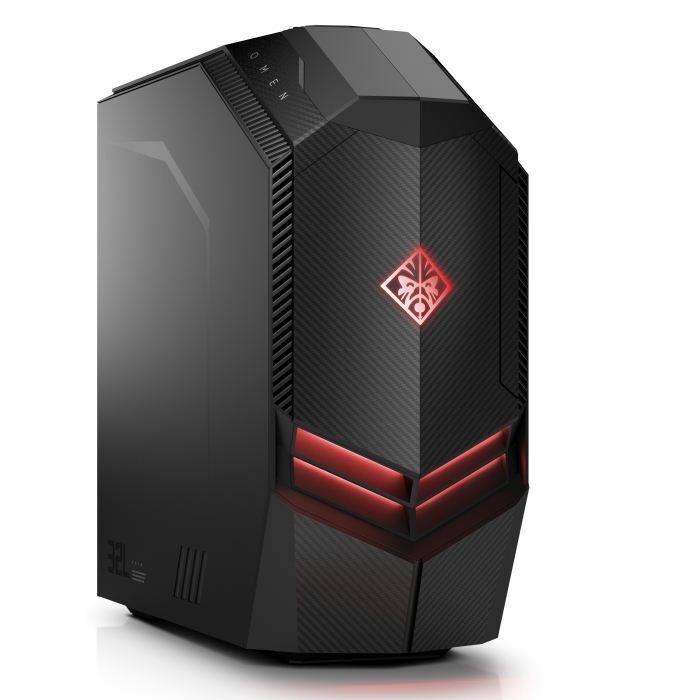 The OMEN by HP Accelerator will be available in August, starting at $299.99. HP is also announcing a pair of OMEN branded displays, with the OMEN by HP 25, and the OMEN by HP 27. The 25-inch model is a 1920x1080 panel with a 144 Hz refresh rate, and it allows panel overclocking. It features AMD FreeSync as well. The larger 27-inch model is a 2560x1440 resolution with a 165 Hz refresh rate, and it can be overclocked as well. The 27 features NVIDIA G-SYNC technology. Both appear to be TN panels, which still offer the highest refresh rate, even if the image reproduction suffers compared to IPS panels. The OMEN 25 display will be available June 26 for $279.99, and the OMEN 27 will be available June 8 for $799.99.